Iyanla Vanzant, internationally acclaimed Spiritual Life Coach, New York Times Best-Selling Author, and Emmy-winning television personality, has renewed her partnership with Mills Entertainment, a live entertainment content studio, and division of Creative Artists Agency (CAA), to present an all-new interactive event this spring. Vanzant will appear at the Fox Theatre in The District Detroit on Sunday, August 25 at 7 p.m.
VIP packages, including a copy of Iyanla's 25th Anniversary edition of “Acts of Faith”, are available at www.IyanlaVanzantLive.com. 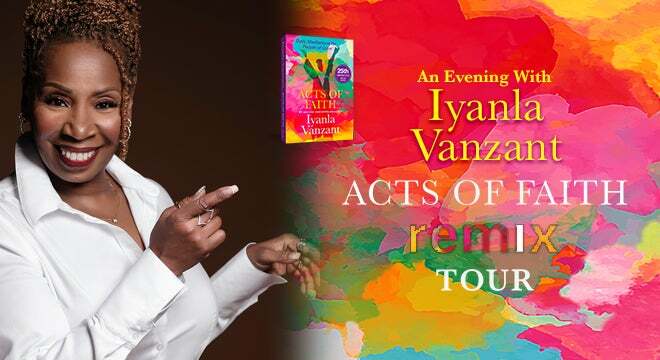 Fresh from the success of her 2018 “Get Over It!” Tour, Iyanla returns to the stage in 2019 with the “Acts of Faith Remix Tour,” a landmark inspirational and interactive event celebrating the 25th anniversary updated release of this internationally acclaimed best-selling book. Best known for her eponymous hit talk show, best-selling books and audios, and her numerous appearances on The Oprah Winfrey Show, Iyanla is the host and executive producer of Iyanla: Fix My Life, the number one unscripted show on OWN: Oprah Winfrey Network (#1 original series on all of TV broadcast and cable among African American Women 25-54 and Women 18+). 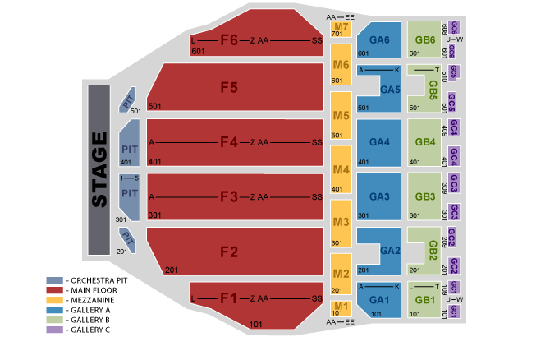 A schedule of tour cities and dates can be found at www.IyanlaVanzantLive.com.